Hey, what’s going on you guys? I want to have a breakthrough session with you right now. So, if you’re driving, keep on rolling. If you’re not, get out a notepad because we’re about to have a mindset breakthrough on this podcast. 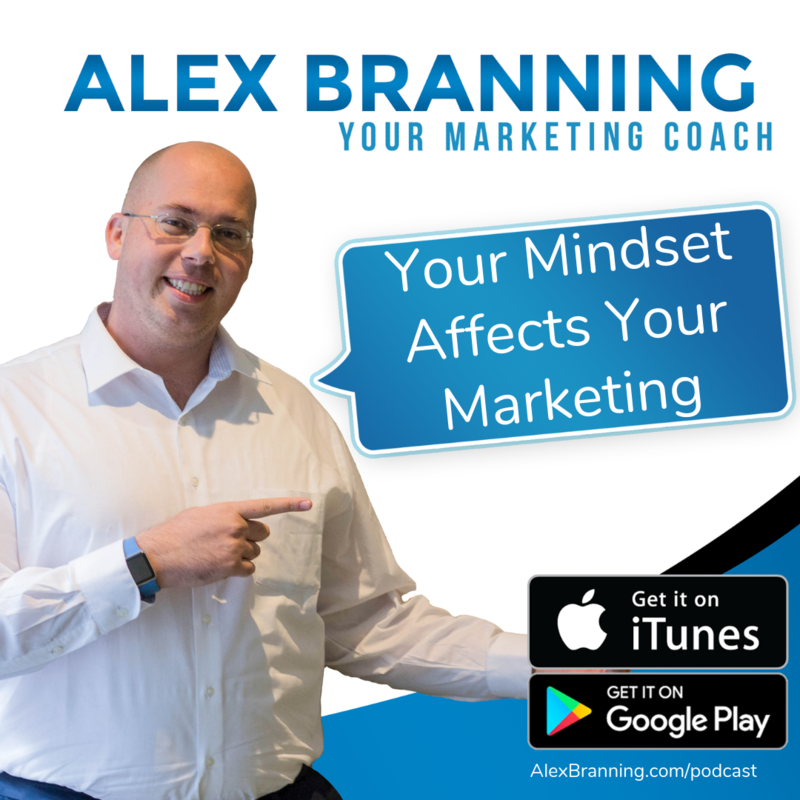 So we are going to dive in to how your mindset around money has a direct and sometimes crippling impact on the success of your marketing efforts. I want to tell you a story and to really hit home on my point, I want you to imagine right now that you are a salesperson going to someone’s house and you are selling that person a solar system, okay? Now, solar systems typically cost around $20,000 give or take. You can put them on loan. But anyway, that’s not the point. You walk into the home. You see that the guy meets you and he’s sitting down in a rocking chair. There’s some old nasty furniture around. The carpet is bare. There’s an old TV and you’re like, “Oh my God.” It just looks rundown and a mess. How confident are you in that moment of selling the solar system? Most salespeople in that situation would walk into the home, look around, prejudge the scenario and say, “You know what?” They would want to get out of there as soon as possible. They wouldn’t go through the full presentation. They would probably just try to just cut this whole thing short, get right to the point. There will probably be some apologies for taking up their time and it would just flop. But here’s the thing. This happened to a friend of mine, walked into the same scenario and that guy that he was meeting with was actually someone that flipped homes and he was sitting in his latest rehab project and he was looking for a solar salesperson that would help them not just on this home that he had just bought that was all messed up and gangly looking, needed a lot of work. But he was also going to be installing solar on the other homes that this guy owned. So thank goodness, my friend actually went through and delivered the presentation. But how many of you would say, “You know what? This is not going to be a good fit for me. There’s no way this guy has 20 G’s or good credit.” By the way the guy ended up paying cash for a solar system. But the reality is a lot of us prejudge our clients and some of us, a lot of us actually, a lot of people that come into my world needing marketing help have prejudged their online audience and they’re in this state of mind where they almost feel like they have to apologize for asking for money and then when they do ask for money, they want to immediately give a discount even before they finished making their offer. By the time they get to the sales page, they’re already discounting it like crazy. Now I’m not saying there isn’t a good marketing tactic in showing you’re getting all this value for only this price, but there’s a mindset around almost feeling bad about asking for money and you know what I’m talking about. We do that a lot with our stuff. I even see people do it with their appointments. I was talking to a life insurance agent client of mine, if you’re going to sit down and help this guy write a policy that’s going to give his family a million dollars if he passes away, take care of his funeral expenses, help his family and with the will and getting all this stuff set up, if that’s your offer, you’re doing that man a service. You should not apologize for having to take a half hour out of his time. You know what I’m saying? So there is a confidence. There is almost a swagger that you need to have when you make your closing statement. Now, this really applies to marketing online. I see this so many times, people almost apologizing for the ask and it really drives down the people’s confidence in what you’re offering. You’re immediately devaluing what you have to offer and a devalued product is never desired.Again, a devalued product is not desired. I feel like repeating myself over and over again because I see this so much. What you need to do right now, your homework, if you will, is to look at what you’re putting out there and say, “Am I putting out confidence in what I have? Am I getting across the fact that what I’m doing, what I’m providing in the service that I’m bringing to the table, is it worth it?” Because if it is, you should have no shame, embarrassment or hesitation in making the offer that you’re going to make. Don’t hesitate. Don’t delay. Don’t stutter. Just deliver it. Be confident in it and then let them make the decision. So, let’s change gears a little bit. If you’re listening to this right now and you’re going, “Okay, I hear what you’re saying, Alex. I got a mindset that’s stuck in poverty. I’m apologizing for myself. What do I do? What I do about this?” Well, I got a couple of points for you. Number one, one of the things for you to do is realize that wealth and money is in great abundance. There is no lack. If you are pitching me and your product, let’s just use round numbers, your product is $500, I am not losing $500 by you making the sale. I am investing my $500 into your product or service that you’re selling to me. I’m happy to spend that $500. You should be looking at my sale and looking at it as me investing in myself for the product or service that you have. When you do that, it changes the way that you look at money. The second thing, you should be hanging out with more people that are wealthy.Maybe you can’t hang out with them because there’s not people that you know, you should be listening to their podcasts, reading their books. Just getting into that mindset because if you hang out with people that are broke, have a broke mindset or just stuck in poverty, what’s going to happen, it’s going to bleed into your mindset. You know what I’m saying? It’s going to affect you. I want to give you an example of two little boys, both 10 years old. One 10-year old little boy lives in a home and in his home they are struggling to make ends meet. It’s been like this for his whole life. There’s a bowl of mashed potatoes in front of them at the table. They all go around and they fill their plates. When it’s time for him, when he’s done eating and it’s time for him to get seconds, he looks around. He makes sure that all of his parents got fed. He looks at all of his siblings, the younger ones, make sure they have enough to eat and then and only then does he decide to get seconds and even when he does, he still only grabs a little bit on a spoon and puts it on his plate because he is worried that there won’t be enough to go around. Another little boy lives in a home where there’s never an issue of whether or not they’re going to eat. He knows that their fridge is full. He knows that they’re in a good place. There’s not lack in his home. When he is done eating his first plateful of mashed potatoes and he wants more, he just reaches across, grabs the bowl of mashed potatoes and grabs a second helping. He puts it on this plate without worrying about whether or not there’s going to be enough for his parents. Why? Because in his mindset, in his mind, he knows there’s going to be enough. Now, this is a very shallow example, but it goes to show what happens when you have a mindset of lack versus abundance. I’m not using this example to make light of anyone’s difficult upbringing, but I’m just going to show that that choice that was made by the first 10-year old boy was not a conscious choice. It was a direct effect of his environment and the same way your mindset around money is a direct effect of your environment.Are you hanging out with people that have the mindset that wealth is abundant? It’s everywhere, and that when you spend it, you’re investing in it. If they don’t, then the poverty, broke, for me to win you have to lose mindset is going to impact you. My third point, and this is a big one, is actually start putting this into action for yourself.Invest in yourself and your personal development and in your business growth. That means hiring a coach. That means reading books, listening to podcasts because you’re investing your time when you listen to podcasts. You’re investing your money and your time when you’re reading books. 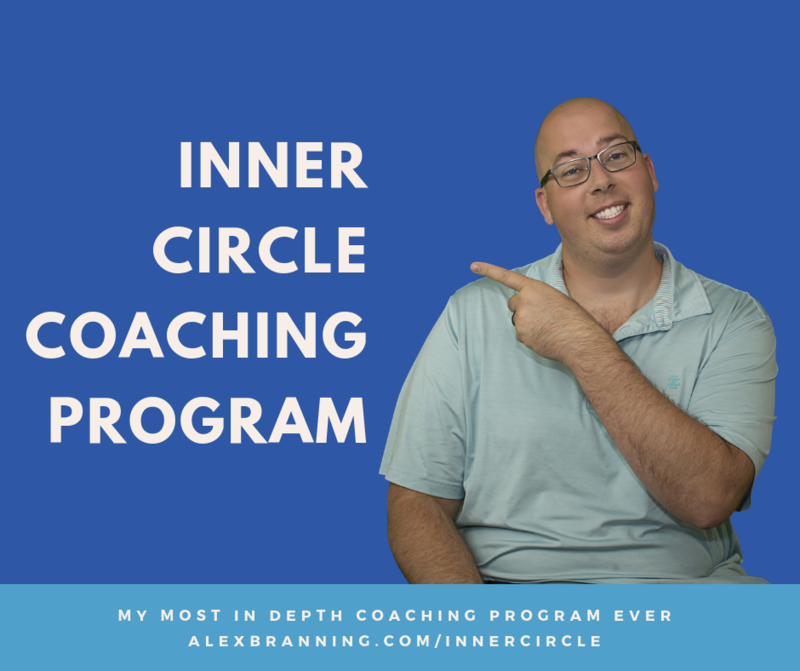 You’re investing your money when you hire a coach to help take you to the next level. 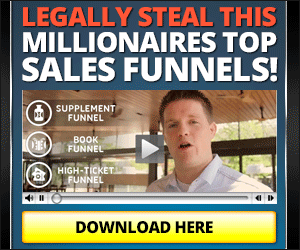 This is not a pitch for me, by the way, find a business coach that you gel with. If it’s me, awesome. If it’s not, find someone else that you gel with. If you don’t invest in yourself, you cannot expect others to invest in you. So this is a good episode you guys. I love talking about this stuff. I got a book for you to read too. It’s called the No B.S. 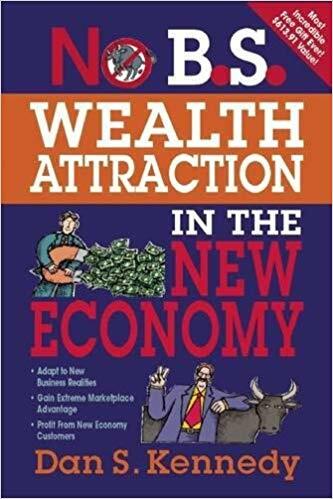 Wealth Attraction in the New Economy by my man, Dan Kennedy. Grab it, read it. It’s going to change your mindset, which will change your life. Have a great day, you guys. Hit me up. Email me if this impacted you. Do me a solid, drop me a review. Thanks.